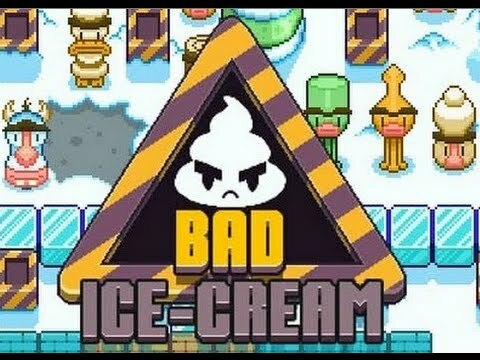 Play Bad Ice-cream 1 with a friend or by yourself. 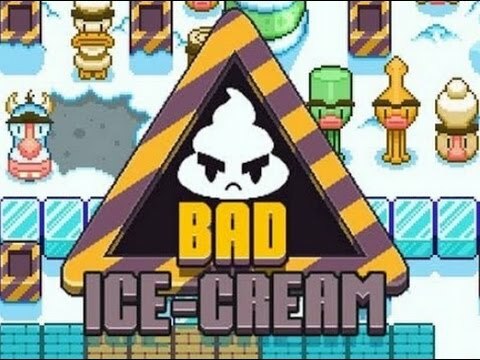 If you finished the first game and want more, play Bad Ice-cream 2. 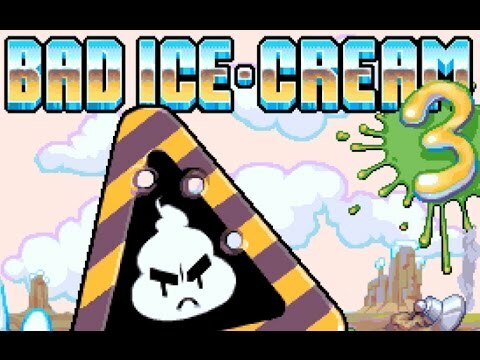 Wait there is more, come play Bad Ice-cream 3. Collect fruits and avoid the monsters, it starts easy but ends hard. 40 more levels of fun, don't stop playing before you finish all levels of Bad Ice-cream 2. More fun in the last game of Bad Ice-cream. Solve complicated puzzles in this two player game. Jump your way to another great adventure of the little fuzzy and frazy creature in the game of Frizzle Fraz. Fancy Pants Adventures is just pure fun with the best character ever invented. Bob the snail finds new adventures every games. Use tools to guide him through each level of his journey in the Pyramids, Forest, Space or the road for love.